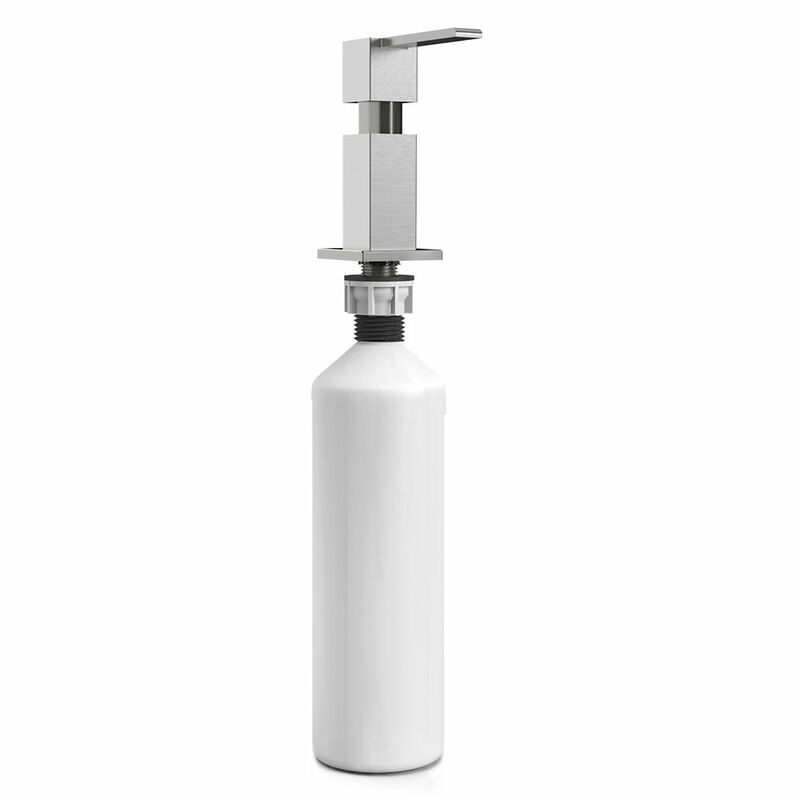 Stainless steel soap and lotion dispenser with commercial satin finish. Pump activated dispenser features solid stainless steel construction, with 500 ml capacity polypropelene bottle that fills from above the counter. Dispenser can accommodate a countertop thickness of 1.5 inches. Commercial finish is a natural complement to commercial look appliances and sink. This Danco Chrome Soap Dispenser w/straight nozzle provides an elegant touch for a bathroom or kitchen installation. Add convenience to your kitchen with this dispenser as it comes with a 48 in. hose that will fit a 1-gallon soap or lotion bottle discreetly hidden underneath the sink to minimize refills. The Dispenser can also be filled from the top if used with the included under counter plastic soap container. It features Microban antimicorbial technology that fights the growth of odour-causing bacteria, mould and mildew. The longer shank fits most countertops, including granite. Ribbon style soap dispensor Stainless steel soap and lotion dispenser with commercial satin finish. Pump activated dispenser features solid stainless steel construction, with 500 ml capacity polypropelene bottle that fills from above the counter. Dispenser can accommodate a countertop thickness of 1.5 inches. Commercial finish is a natural complement to commercial look appliances and sink.